Whilst it is undoubtedly a fantastically exiting car, there comes the time in many owners lives when the less practical aspects of 340R ownership become apparent. Principal amongst these is the lack or weather protection, which means that when it rains hard - You get wet! 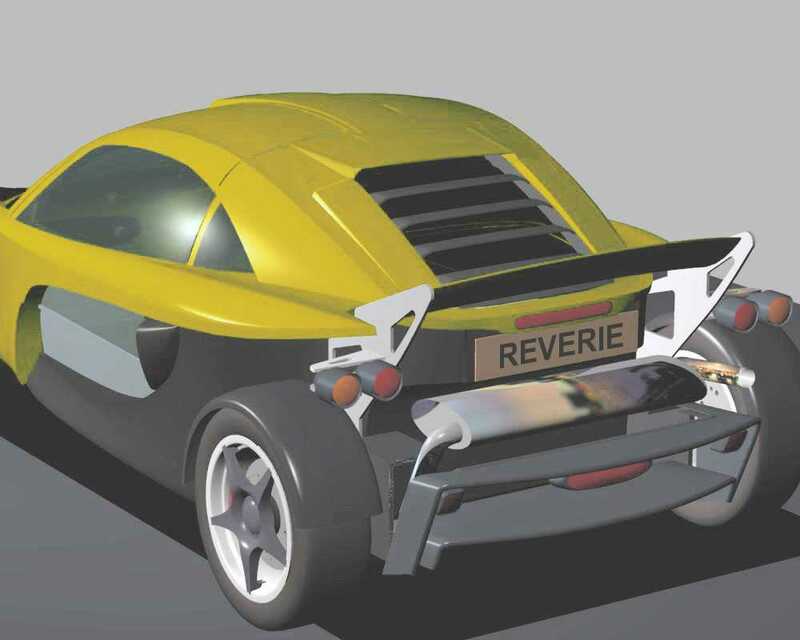 As makers of lightweight carbon fibre parts Reverie Ltd were asked by some customers to produce a removable hardtop for the 340R. We reproduce below pictures of their design and further information on the product. Also planned is a detachable rear mounted aerodynamic luggage pod - somewhere to store those essential items for a weekend away! The fully removable carbon fibre hardtop offers increased security, enhanced comfort and protection from the elements along with enhancing the 340R’s striking aesthetics. Guttered & sealed gull-wing door access. Centre spine air inlet for adjustable cabin cooling. Rear vertical screen / bulkhead behind roll bar. 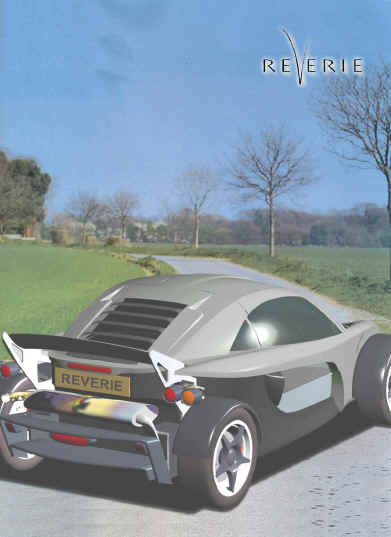 Rear sloping louvre panel for good engine cooling. Two forward side-screen demist Naca ducts. Two rear Naca ducts for engine cooling and ram air induction. Allows the majority sufficient head room for crash helmets. Autoclaved carbon fibre construction with localized reinforcement as required. Head lining: please specify black or 340R blue. Black gel coat finish. Hand laminated Fibreglass (as per 340R panel construction and Elise s1). Reduced ram air and ventilation functionality. Deposits of £1000 required to join the order list. Delivery (subject to minimum of 6 orders) will be in deposit order as per the original car. Delivery starts 6 months after 6 deposits received after full testing and development. 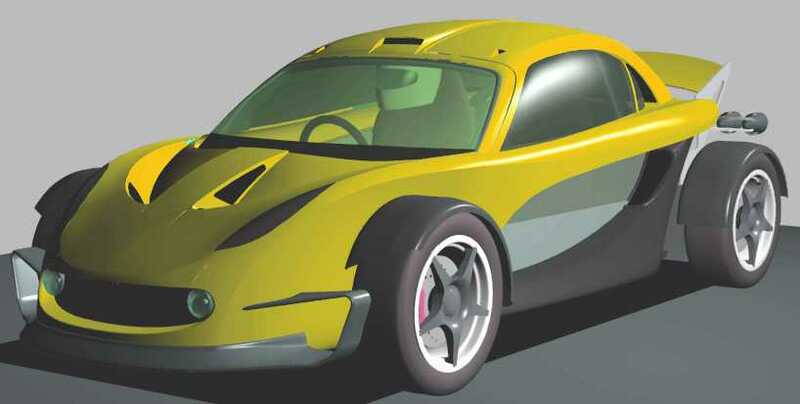 Customers will be kept updated on progress via e-mail & will be invited to see the clay model at the factory. or click the logo below to connect to their website. Coming soon to a country lane near you ?